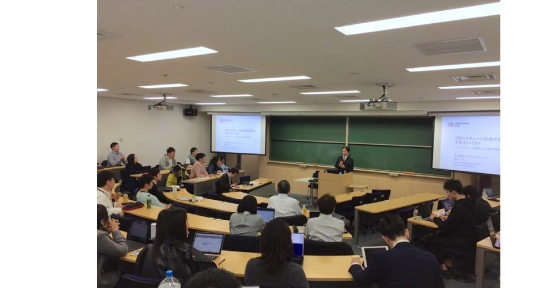 Our CEO, Kazuyuki Masuda, presented a lecture on blockchain business at Keio Business School. 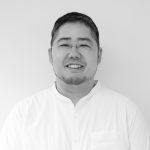 Our CMO, Go Masuda, was appointed as a Key Opinion Leader of “COMEMO by NIKKEI”, by Nikkei Inc., Japanese publisher of the largest financial newspaper. Our CEO, Kazuyuki Masuda, presented at “Blockchain’s impact on business”, online lecture course by Business Breakthrough (BBT) University. Our CSO, Kenji Saito, and Senior Architect, Takeshi Kubo, concluded a series of articles “Issues and potentials in blockchain – development of BBc-1 (Beyond Blockchain One)” at gihyo.jp (sorry only in Japanese). 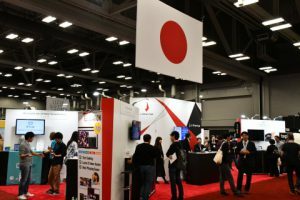 Yume Cloud Inc., a BlockchainHub Startup based in Sunnyvale CA USA, exhibited at SXSW2019 in Austin TX USA. The successful outcome was reported by Global Communications of the Japanese Prime Minister’s Office. 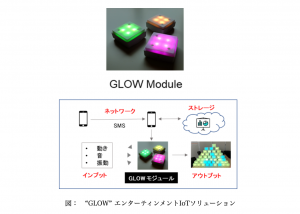 Yume Cloud Inc., IoT startup based in Sunnyvale, CA, USA, founded the Japanese entity, Yume Cloud Japan Inc., in Yamagata University Business Starting Center for Organic Material (YBSC), under BlockchainHub’s incubation program. Yume Cloud Japan has initiated IoT related co-research, and will accelerate new technology development, business creation, collaboration with local enterprises. At this milestone, Yume Cloud completed BlockchainHub’s incubation program, the first case for the program. Please find the press release by Yume Cloud Japan and BlockchainHub here (sorry only in Japanese). We BlockchainHub, in March 2019, renewed our corporate brand and adopted a new logo. Our new logo came up as a on-the-grid organized chaos of bicolored thick lines. They represent the decentralization of the blockchain technology as well as the transformation after passing by a crossing, that is reference to the “hub”. BlockchainHub is a place where people with different backgrounds can meet, learn, work together and add value to each other, a place to provide personal and professional changes. For the colors, we were inspired by the Japanese traditional colors chart. The corporate color palette is based on shades of konpeki (azure) and beni-murasaki (dark fuchsia). Konpeki brings fresh air to the visuals and refers to blockchain, the technology side of the company. Applied to the hub component, Beni-murasaki (a mix of the Japanese red Beni and Murasaki purple) adds the Japanese traditional values of dignity and nobility, as well as creativity and imagination. Kazuyuki Masuda, our CEO, made a presentation, entitled “Impact of the upcoming blockchain society”, at the autumn symposium 2018 of Business Model Association. Cross Digital Inc. was founded as a BcH Startup under our incubation program. Our new generation of decentralized ledger platform, BBc-1 (Beyond Blockchain One), was commercially released (Ver.1.0), applying cross-reference approach.